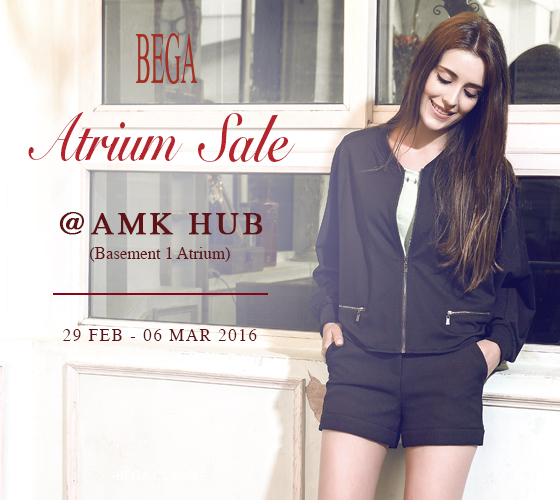 To all our Malaysia customers, we have an atrium sale coming to you tomorrow! From 22 Apr - 5 May, we will be at 1 Utama, Isetan at Kuala Lumpur! See you there! Hurray! 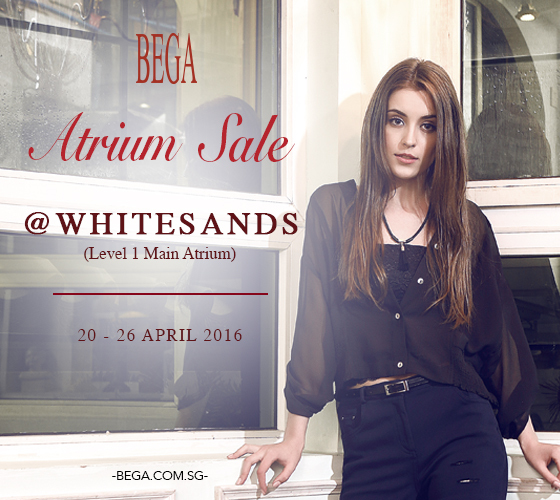 BEGA is having an atrium sale at Whitesands from today until 26 April 2016. A wide range of apparels and accessories at eye-popping prices! Definitely not to be missed! Midweek blues? 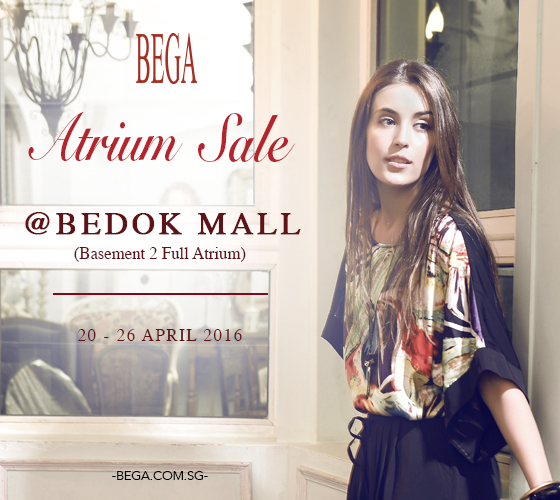 Our Atrium Sale at Bedok Mall will uplift your mood! Expect up to 50% discount on all apparels and accessories! See you there! Our next Atrium Sale is at NEX Mall! 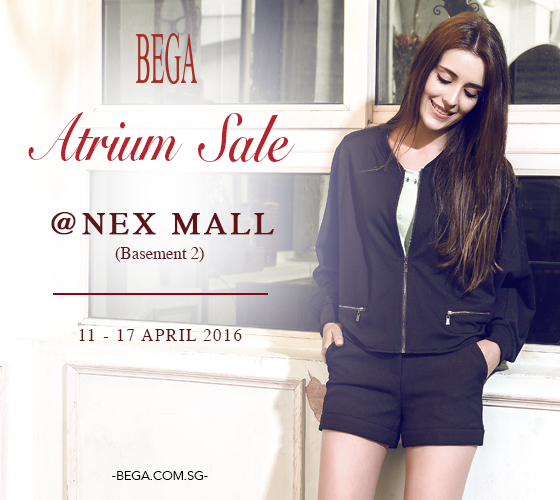 From 11 April-17 April 2016, visit us at NEX Mall Basement 2 for lots of shopping. Apparels, accessories, bags and shoes at up to 50% off! Don't miss it! 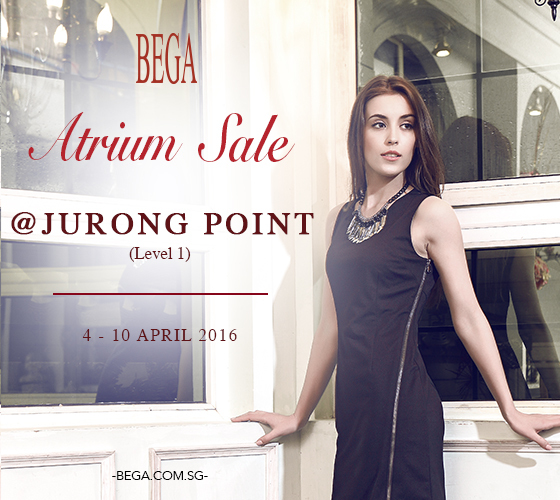 Drop by our Atrium Sale at Jurong Point Level 1, near Centre Stage from now till 10 April 2016!! Join in the fun at our Bedok Mall Atrium Sale from 30 March to 5 April!! 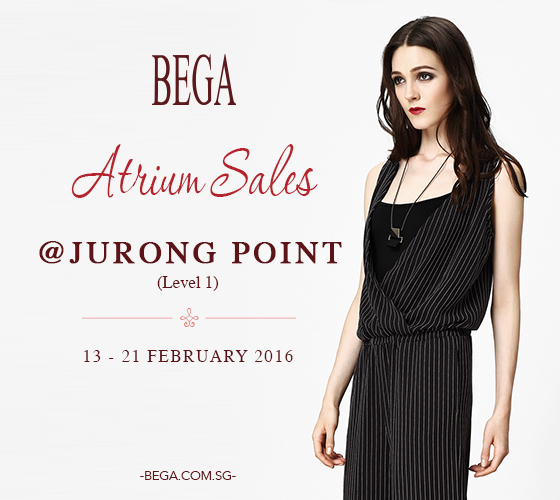 *Psssst, We are at a new location on Level 1 occupying a larger space to bring you more exclusive sale items!! 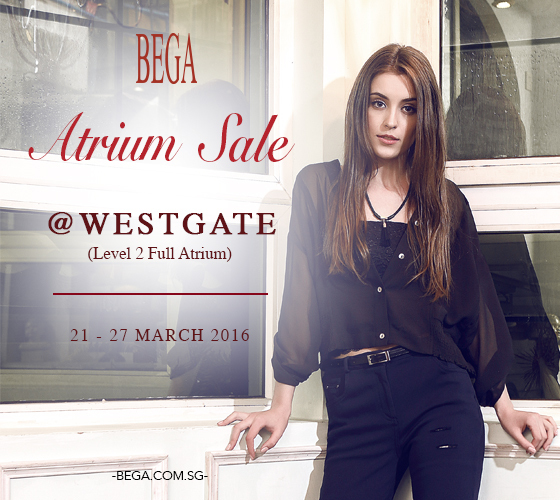 Our Atrium Sale at Westgate Level 2 is happening from 21 March (Mon) - 27 March (Sun)! Drop by our week long Atrium Sale and enjoy up to 50% off our wide range of products ranging from apparels, bags and accessories.